Watch this video for an overview of the course, content and learning objectives. He's talking too fast. I can't really follow along. His instructions are also kinda vague. One, I had to do the opposite of what he wanted me to do to get his result because what he did in Fusion was not right. Moving way too fast. Does not explain either. In this lesson, you discover what you will learn in this course and download the software and resources you need. You create an Autodesk ID and install Fusion 360. Installing Fusion 360 only takes a few minutes and an Autodesk ID to log in. Every member of the team will need an Autodesk ID to connect to the team project and collaborate on the design. Download and install Autodesk Fusion 360.
Review the key elements of the interface and navigation. Collaboration and data management are core to Fusion 360. Data stored on the cloud can be accessed by any member of the team from anywhere including through use of mobile devices. A team manager must be able to review the progress the team is making in generating the design, imagery, and manufacturing plans. Using the design as a resource for all will keep the team connected and on target. Create projects accessible to anyone invited. Upload existing data to the cloud based projects. Invite others to a project. Review and comment on design data online. In this lesson, we learn what to do with imported or bad geometry. Autodesk Fusion 360 can be used to edit a model using direct modeling tools to better prepare a file. 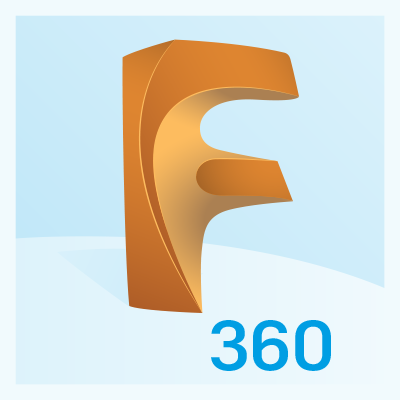 The most commonly recognized role for Fusion 360 is for the Designer Engineer. This role will require a high degree of expertise with the modeling features. In addition to more traditional solid modeling tools, the design engineer can leverage freeform modeling tools, develop the assembly, and document the design of 2D drawings with Fusion 360. Included in this lesson is a Design Toolkit offering additional tips on how to customize your car using Fusion 360. Develop parametric solid models using sketches and features. Connect components in an assembly. Customize your car using Fusion 360 tools: sweep, loft, fillet, and freeform modeling. Producing the prototype or final production model requires the ability to program additive and subtractive machine tools with the geometry of the design. With the direct connection of the CAD and CAM tools built into Fusion 360, design innovation ideas can be explored without having to start the programming from scratch. Generate output for 3D printing the nose cone. Set up the stock block for machining. Marketing and fundraising are important for making sure a team has the funding for materials, testing, and travel. There is no need to wait until the engineering and testing phases are complete to create compelling images and animations. Showcasing the creative aspects of the car design early on to get ahead of the pack. Apply decals to to the model. Create renderings from the design file. Save the image to the cloud and to local storage. Generate an animation of assembling the car. Apply your knowledge of Fusion 360 to car design. Test your skills and showcase your knowledge by demonstrating your actual skills, expertise, or just see where you stand. Now that you've completed the course, learn about opportunities to share your work with the world, sign up for educational programs and groups, and learn more about additional Fusion 360 courses.